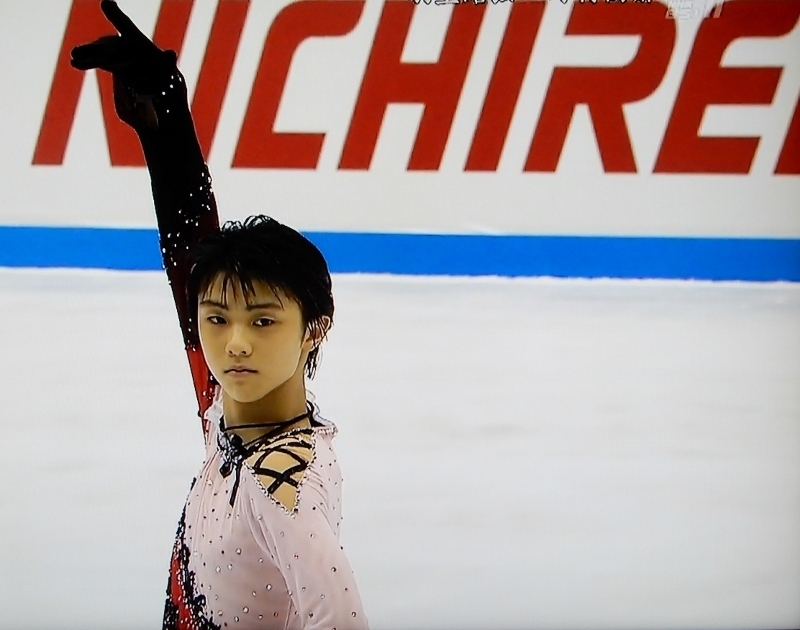 Here is fifteen-year-old Yuzuru HANYU in his senior debut match in 2010. 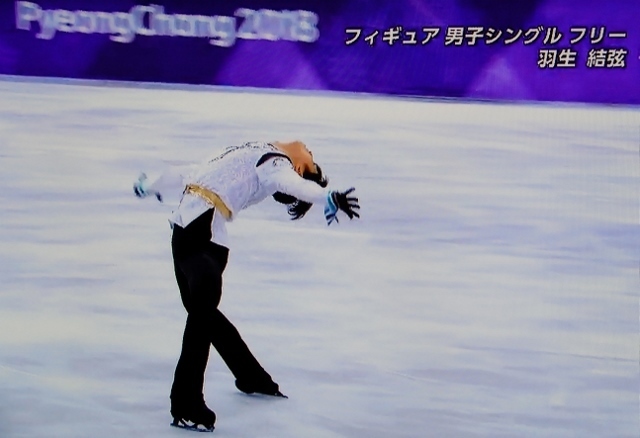 His supple body could show us not only a quadruple jump but also Biellmann spin（like Plushenko）. At the same time, his lack of stamina sometimes made him flop down while skating. 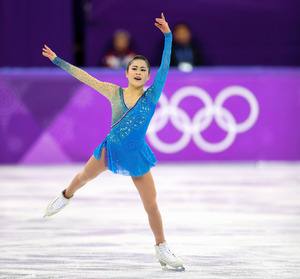 After eight years, he became a young warrior and won his second gold medal of the winter Olympics. 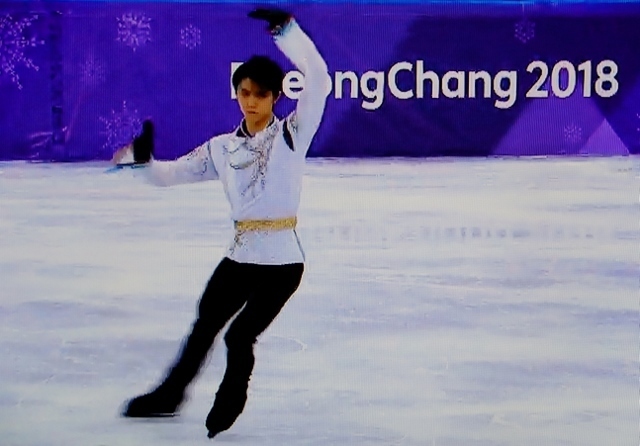 At the beginning of the second half of his free skating, the commentator's voice " Hanyu's stamina is OK? " reminded me of that fifteen-year-old boy and my tears fell in drops. 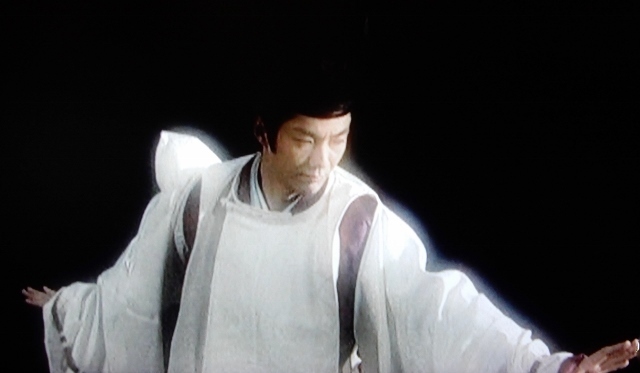 His free skating SEIMEI is based on the film Onmyo-ji (whose original is YUMEMAKURA Baku's novel Onmyo-ji ). 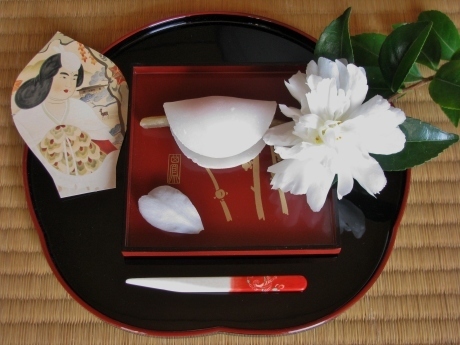 Seimei is the name of an excellent Onmyo-ji in the Heian period. 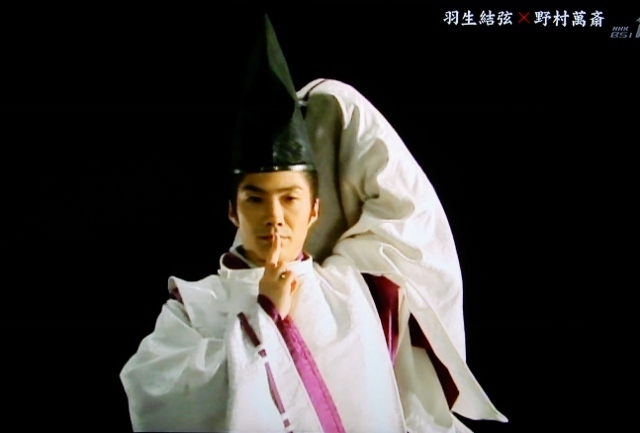 Their mysterious finger gesture expresses this shaman's concentration power. 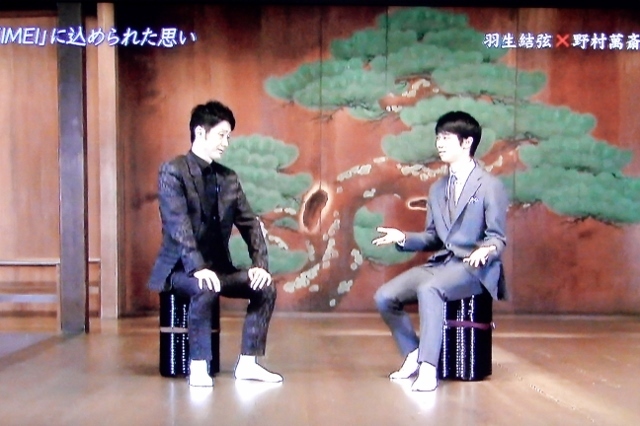 HANYU Yuzuru talked with NOMURA Mansai in 2015 when he had played SEIMEI. 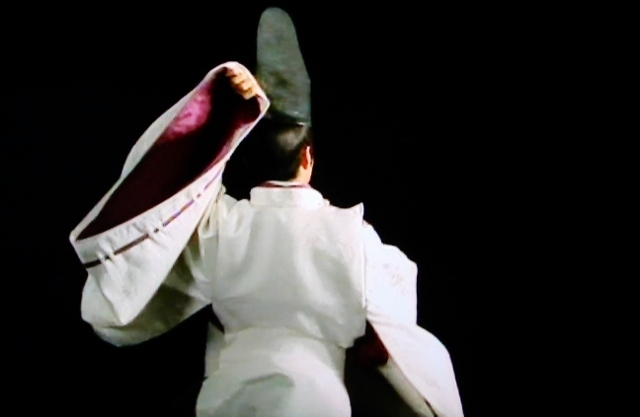 Mansai is a Kyogen performer, actor, director, etc. 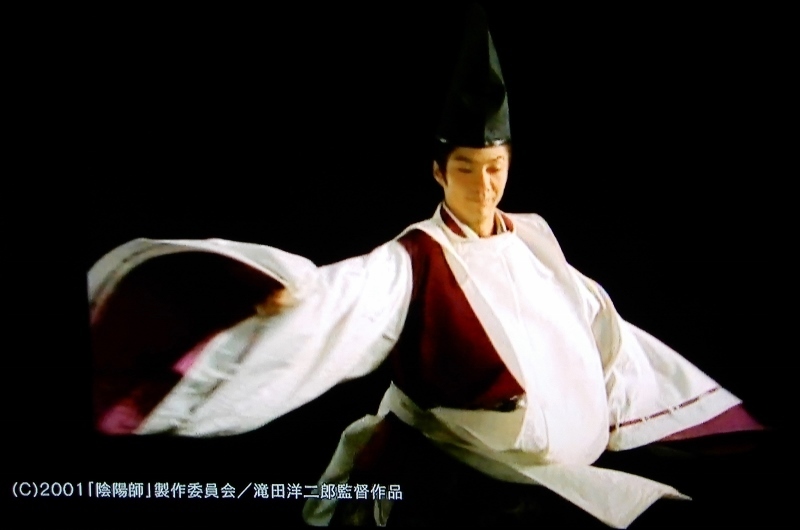 Mansai said that his dance in the film was an improvisation（free dancing!）. He holds a cuff in the beginning pose. 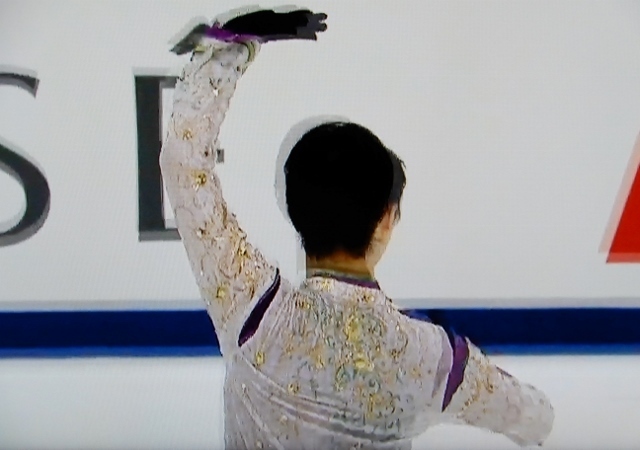 Yuzuru does not hold the cuff of his tight sleeve but points the sky symbolizing the idea of "heaven, earth and man" that had been suggested by Mansai in their conversation. 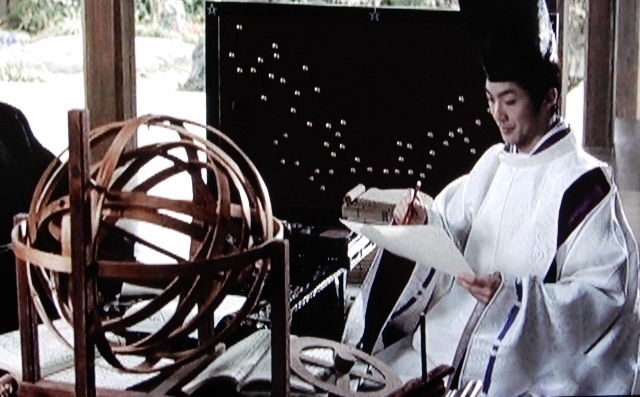 SEIMEI 's costume is an arrangement of the noble's robe in the Heian period. 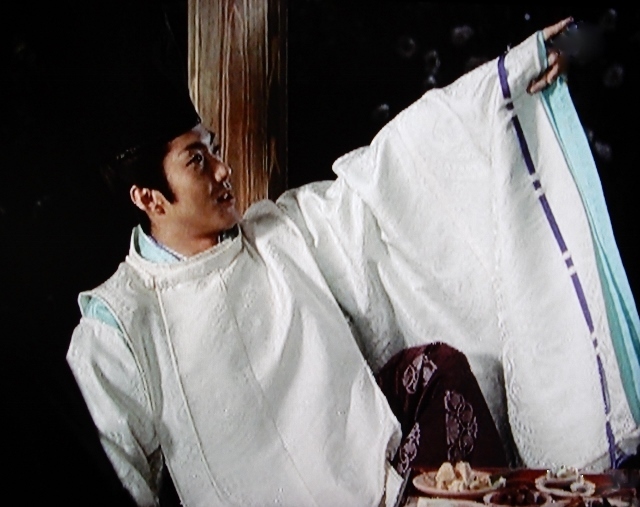 Its cool colours (white, purple, and pale blue) are common with those of Seimei in the film. (ex. their sleeves)　Is he protectively colored in this ice arena? They are both powerful jumpers and passionate dancers. His passionate Ina Bauer and step sequence ! 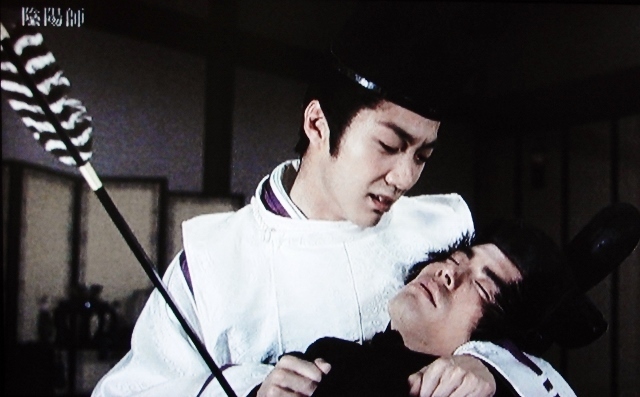 Seimei, who is always cool, has given vent to his passion only once when he lost his friend. 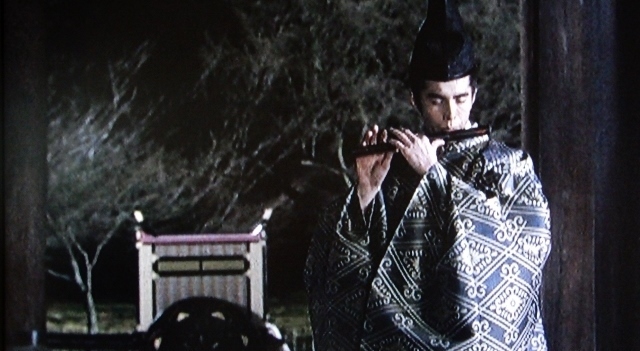 He danced in order to breathe the life into his deceased's body to the illusion of the firend's flute. 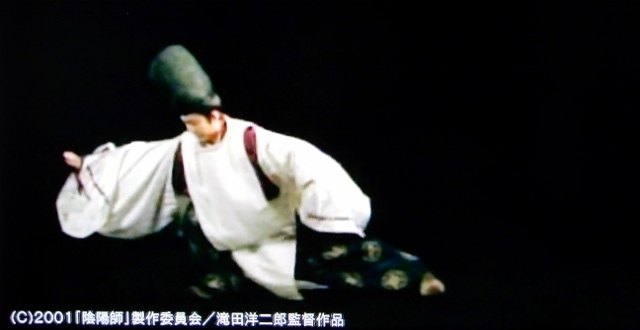 Seimei's dance was to regain the soul of the dead. The flute ended and Yuzuru's edges stopped. APPLAUSE. A gold pentagram was shining on his back. It is the symbol mark of Seimei, whose power might have encouraged the skater. 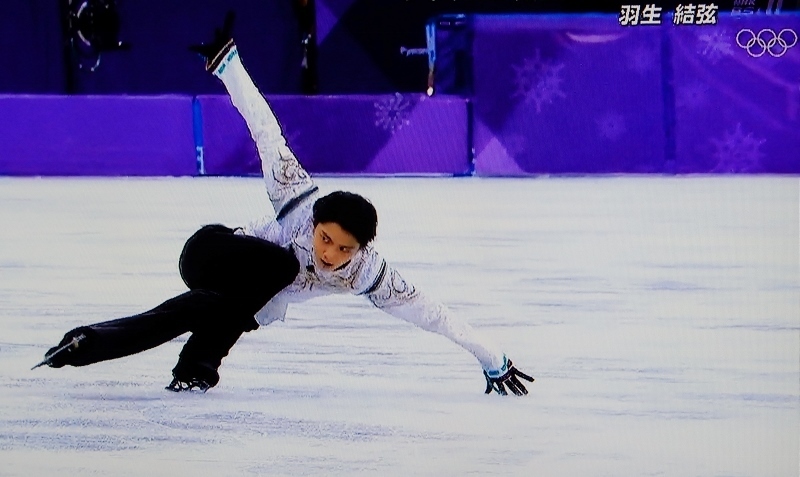 He had often skated "FLOWERS WILL BLOOM～Hana wa Saku～" since the Great East Japan Earthquake. 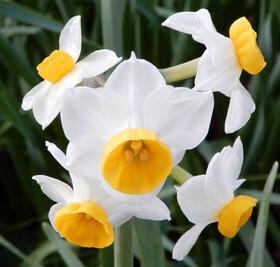 His skating encouraged Japanese people including snowdrop who had already been in mourning-depression for years. 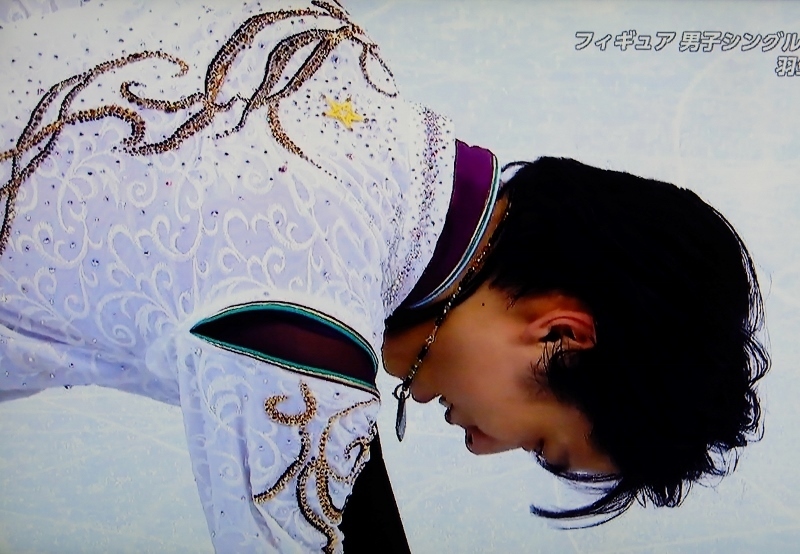 Our gratitude to him must have encourged him again in PyeongChang. 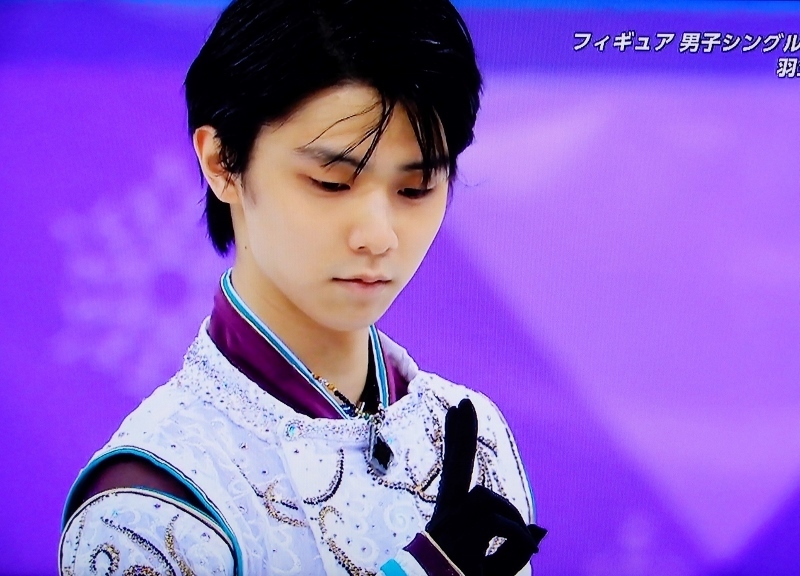 Yuzuru said "If it had all been smooth sailing I would not have been able to win the gold medal." He spent the days image-training and reading when he could not skate. 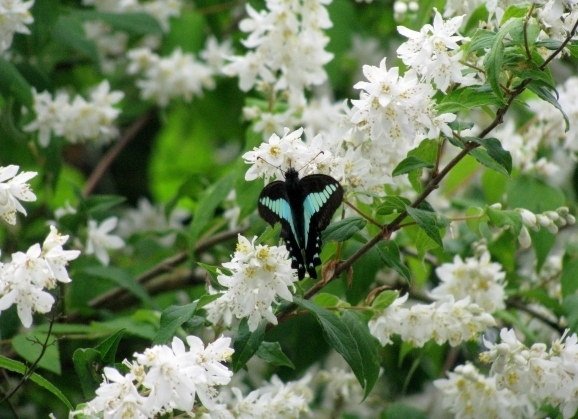 His image of Onmyo-ji became clearer, deeper, and more original. By the way, snowdrop has translated the word "Onmyo-ji" into English in her work last year! Fortune teller, astrologer, or shaman??? ”From Heaven the deceased should see this festival on Earth."